You can get a total refund of the money in your smart wristband at any of the cashless points at your disposal around the venue during the official opening hours and before leaving the festival. Online service conditions for refund request via bank transfer. Online refund request system will remain active from 23:59:59 on Monday, April 22 until 23:59:59 on Sunday, April 28, 2019 (CEST time). To request a refund it is necessary to be in possession of the wristband. Refunds will only be made via bank transfer to Spain or the countries in the euro zone. 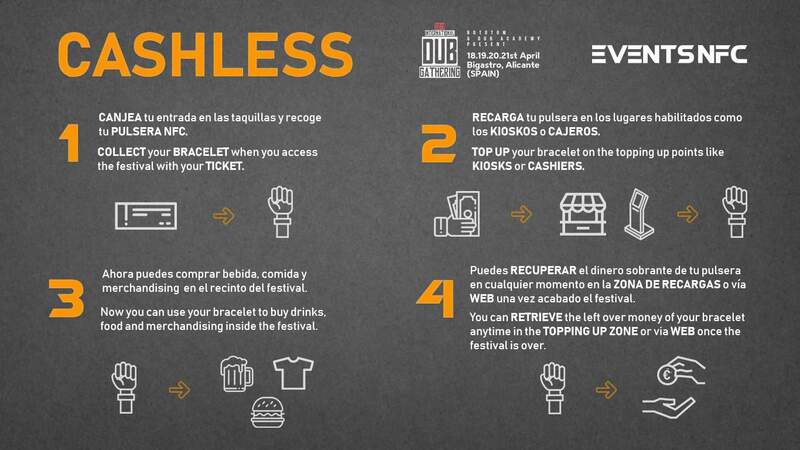 The minimum amount of money remaining on the wristband to make the online refund is € 2.00. For amounts equal to or greater than € 2.00 refunds are in full (no management fee will be charged). 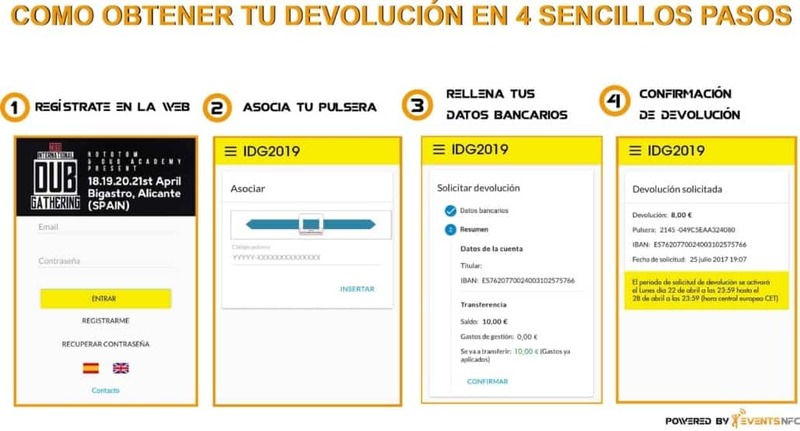 Once the online application period ends, the transfers will be made within a period of 3 working days.